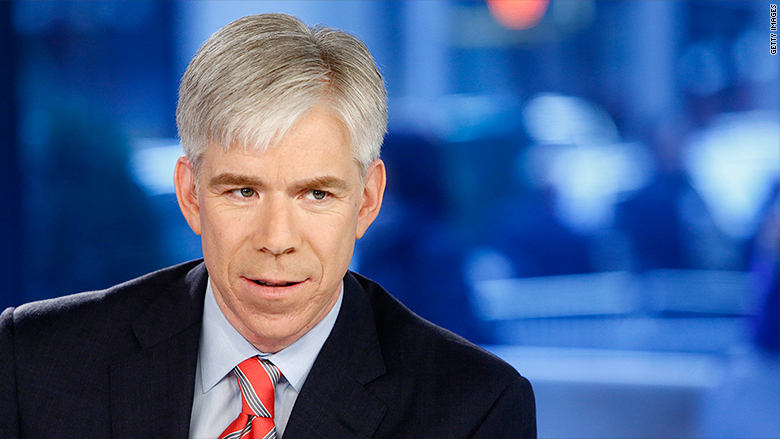 David Gregory acknowledges that he could have done certain things better as moderator of "Meet the Press." But in some of his first public comments since his messy breakup with NBC News, Gregory says his former employer could have have handled matters a bit differently, too. Chuck Todd officially replaced Gregory on "Meet the Press" in August of 2014, but the shakeup had been the worst kept secret in TV news all summer. Gregory was essentially a dead man walking as reports swirled about his expected ouster. In an interview with New York magazine published Wednesday, Gregory was asked why he didn't confront Todd, whose agent allegedly instigated some of the embarrassing leaks about Gregory to media outlets. "I decided not to do that. I decided not to plug the leaks," Gregory said. "I think it's unfortunate that the leadership of NBC was not capable of dealing with it. I understand Washington and there was blood in the water about me." NBC News declined to comment on Gregory's remarks. In a separate interview on "CBS This Morning," Gregory lamented that NBC News had "leaked the fact that they made a decision for me to go." "That was obviously upsetting to see that they had handled it that way," Gregory said. Months before Gregory left NBC, and amid a continuing ratings slide for "Meet the Press," the Washington Post reported that the network had hired a psychological consultant to assess the embattled host. Gregory told New York magazine that the report was "false," but he said many of the leaks clearly came within NBC. "You know, there were a lot of leaks that were coming out and speculating about the future of the show that could have only come from within NBC," he said. Gregory granted the interviews because he is promoting a memoir chronicling his spiritual journey. He said he disagreed with the notion that he was "fired" by NBC, telling New York magazine that he informed the network that he "was becoming too much [of] the story." He also defended his time at "Meet the Press," saying that the Sunday morning talk show was number one in the ratings for three out of his six years there. Gregory said he "could have done a better job building a community" at NBC, which may have given him some cover during the turmoil that consumed the end of his tenure. He also expressed regret over an infamous segment in 2013 during which he displayed a gun magazine on the air. But ultimately, Gregory said he doesn't "miss" NBC. "I don't miss being there," he told CBS. "It was just the wrong atmosphere for me."